Very exciting to read this article on The Arts in Wiltshire Blog. 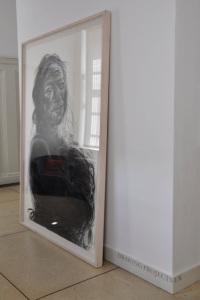 Dean of Bath School of Art and Design, Jerwood Drawing Prize Director, and artist, Anita Taylor talk about her visions for a new centre for drawing and contemporary art in Trowbridge, West Wiltshire. Drawing is both a sophisticated and vital means of thinking and communicating, and is readily accessible to all. As a primary visual language, essential for neurological development and enhanced communication and expression, drawing is perhaps as important as the development of written and verbal skills. The need to understand the world through visual means would seem more acute than ever; with images transcending many barriers of language and enhancing communications in an increasingly globalised world.